Today’s blog is a special one, as I will be looking at one of the biggest veterans in the voice acting world: Frank Welker. It is special because today happens to be his 69th birthday. Franklin Wendell Welker has been the biggest influence in the voice acting community anyone has ever had the respect to know. Some of his famous voices consist of Ralph the Guard on “Animaniacs,” Megatron on “Transformers,” and Fred Jones on the “Scooby Doo” franchise, a role he’s been doing since 1969, and is still doing today. After the death of Don Messick, and after a few other actors to attempt the role of the famous Great Dane, Welker is now the voice of Scooby Doo himself. Welker’s performances expand far beyond just roles with “humanlike” dialogue. He also does keen animal noises. He’s voiced primates like Abu on “Aladdin”, and Curious George. He’s voiced dogs like Santa’s Little Helper on “The Simpsons” and Seymour Asses on “Futurama.” He’s done so many animal and monster voices and, like Dee Bradley Baker, is incredibly gifted at doing so. 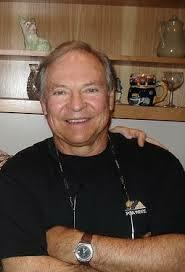 Frank Welker has been the voices of so many heroes, villains, sidekicks, pets, and many other characters. The skills he has with his voice and sinuses are second-to-none, and he shall continue to inspire many other in his long line of vocal superiority. But just because I say all of these words of praise doesn’t mean he’s a stuck up. In reality, he’s one of the most modest people that anyone has ever got the chance to meet. Frank Welker, we love you. All pictures and information you see here are property of their original owners. All rights reserved.